ECHO exists to equip people with agricultural skills and resources to reduce hunger and improve lives. For over 35 years, ECHO has been training and empowering small-scale farmers, development workers and missionaries around the world. But, we need your help to get the word out there, so that we can help more women, children and men around the world. Social media is a great way to connect with people like YOU—we want to hear from our supporters! That’s why we created this new Social Media Toolkit page to help you get more involved. By using your voice to help spread the word about ECHO, you are making a difference to the hungry and undernourished around the world. With just one click, share content with your friends and family on your own Facebook and Twitter accounts. Share these moments to your timeline by clicking on the pictures! ECHO brings hope to a hungry world! Their mission is to follow Jesus by reducing hunger and improving lives worldwide through partnerships that equip people with agricultural resources and skills. Marcie Dallmann demonstrates grafting methods for producing healthy tropical fruit trees. ECHO seminars benefit thousands per year with sustainable agriculture techniques. 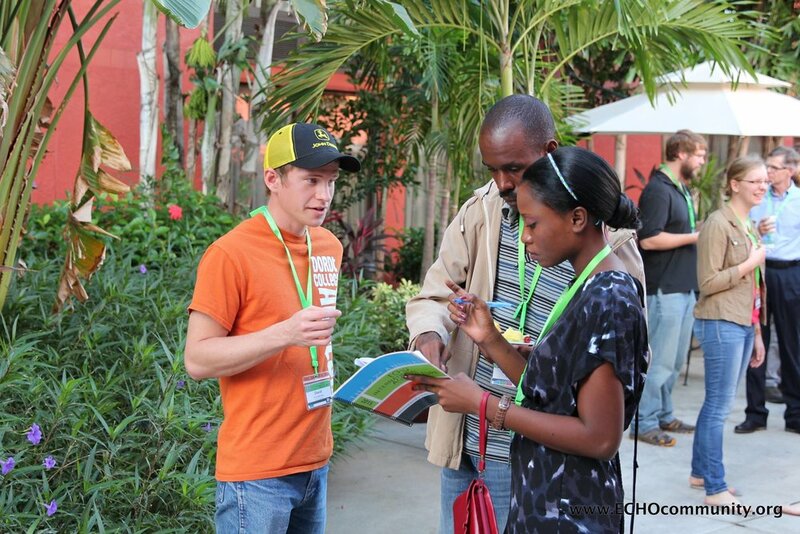 Delegates at the ECHO International Agriculture Conference in Fort Myers, Florida connect about ways to help small-scale farmers through sustainable agriculture. More information: http://conference.echocommunity.org/ — at ECHO Global Farm. Connect with us on your favorite social networks for unique stories, breaking news, fun facts, and more. Sign up for our e-Newsletter to receive regular updates.